My apology's for the late post.....but been a little busy with work. Member Turnout was slightly above average as we had [b] 13 Bass Clubs reps in attendance. *Approval of July 18, 2018 General Meeting minutes as documented in handout. * Financial report- Balance of $1,632.28 after expenses related to the SJ Youth outdoor Day. * Discussion of $15.00 per Team entered into Bass Bowl and the $10.00 Trailer Parking fee out of Gloucester City. * Sunset Lake Ramp has been Deepen and Ramp is Good to go to launch any size boat\Trailer setup. - Update on SJBCA Decals and cost break down on T-Shirts owed to members that have volunteered at event. - Newton Creek Water Shed Association- Update on Fall 2018 \2019 Dredging timeline and plan. Attended early August 2018 meeting where Camden County FreeHolders, along with the dredging engineering company, and stakeholders gathered\met over in Collingswood to listen and ask questions relating to actual start times, expectations, shoreline stabilizations goals, and improvements to the Newton Lake watershed. *Winslow Township PD along with members of South Jersey Hook This! 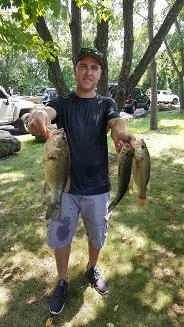 Bass Fishing club will be hosting there 2nd Annual Cops and Boppers Kids fishing Derby on Sat. Oct. 20, 2018 from 10am-2pm at WMA Oak Pond located in Winslow, NJ. SJHT will be seeking member volunteers for this event. Last year, 24 kids along with there parents\grand parents came out for this event. We're expecting even more kids this year. Please.....SAVE THE DATE! - Youth Outdoor Day held August 2018 was a success. There were 168 Total Kids in Attendance with over 200 officially registered. Fred was unsure on the future role that that the SJBCA would play in running\volunteering of certain fishing related events. 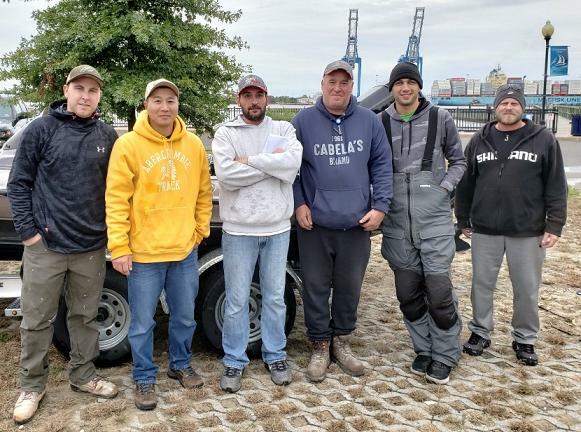 The South Jersey Kayak Bass Club took the lead this year in running this event and vowed to do so in the future. Shout's out to Layne's Club members and there organization of this event. - Received a Thank you note from Ms. Caitlin Lee of Williamstown High School Thanking the SJBCA for there $500.00 Scholarship award. Rashawn read the short Thank You note and shared with the other SJBCA Club Members. She's headed to Stockton University. 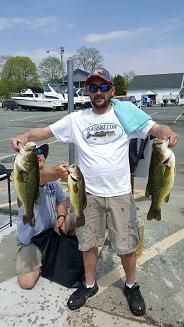 [b]Ray of Swimming River BassMaster won the 50/50 and personally gave me $23.00 to contribute towards our 2019 Scholarship fund. * Review SJ Youth Outdoor Day festivities. Pros\Cons and participation in the event. Saturday, October 20, 2018, New Jersey Free Fishing Day. Saturday, October 20, 2018, WINSLOW TOWNSHIP PD along with South Jersey Hook This! Cops and Boppers Kids Fishing Derby at WMA Oak Pond, Winslow NJ. 10am-2pm. Volunteers will be needed. 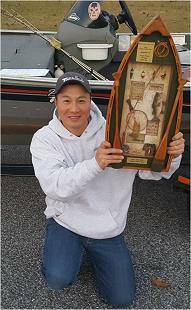 * October 21 at Union Lake, Hosted by Lunker Hunters Penn-Jersey. * 8pm, Wednesday, October 10th, 2018 at the 4th Ward Bass Anglers Club house near Parvin State Park. Meeting starts at 8pm.....FOR BASS BOWL PARTICIPANTS ONLY!!!! [b]Only 1 from the Club needs to attend to pick Launch Numbers, Pay the Entry and Boat Launching Fee, and get rules and Regulations for the Teams. * 1 member of each SJBCA club (if fishing the Bass Bowl) needs to attend the next meeting scheduled on Wed. Oct. 10, 2018 at 8pm to pay entry fee, pick launch numbers, and get stipend towards fuel, toll expenses, and etc. in voluntarily fishing this event. That's all I have!! Sorry for the late Post. 2018 SJBCA BASS BOWL ELIGIBLE CLUBS.